Theydon Bois is situated in Essex on the edge of Epping Forest between Loughton and Epping. It is close to the M25 Junction 26 (Waltham Abbey), the M11 Junction 5 (Loughton, northbound exit only) and Junction 7 (Harlow/Epping). It is served by the Epping branch of London Underground Central Line (Theydon Bois) and the journey time is approximately 25 minutes from Stratford or 45 minutes from Oxford Circus. 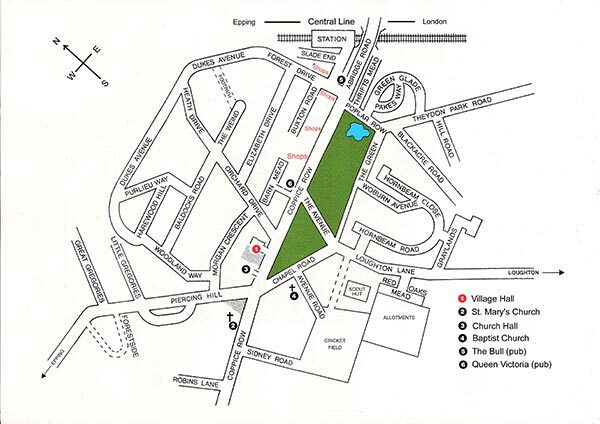 The Station approach road leads to Coppice Row, Forest Drive and the shops opposite the Bull Pub and the Village Green. The Village Hall and Parish Office are further down Coppice Row on the right. See below. You can download the above map in Word format for printing out. It is a 2.2mb file that will take about 10 minutes to download on a dial-up connection. Google Maps and Satellite you can search and zoom into. 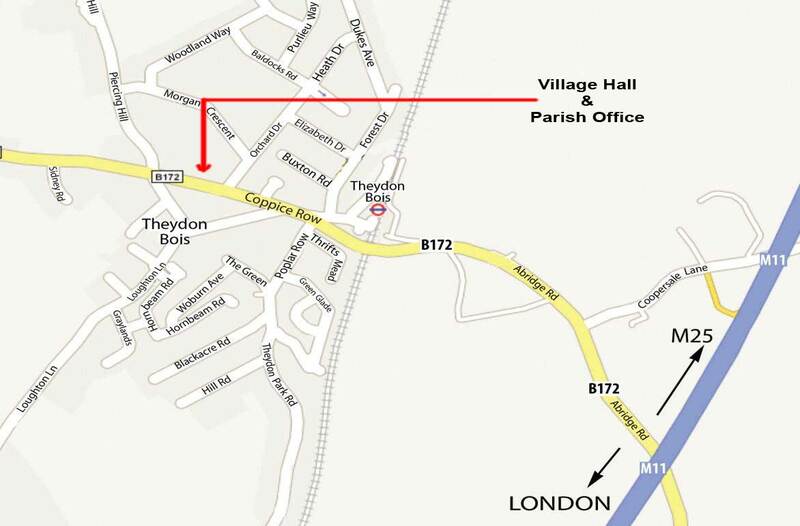 (Use Village Hall postcode CM16 7ER to search Google Maps). Streetmap (OS style map set to page).